I am participating in two block of the months this year. These are the blocks so far for the Yankee Diary BOM from Barbara Brackman's blog Civil War Quilts. 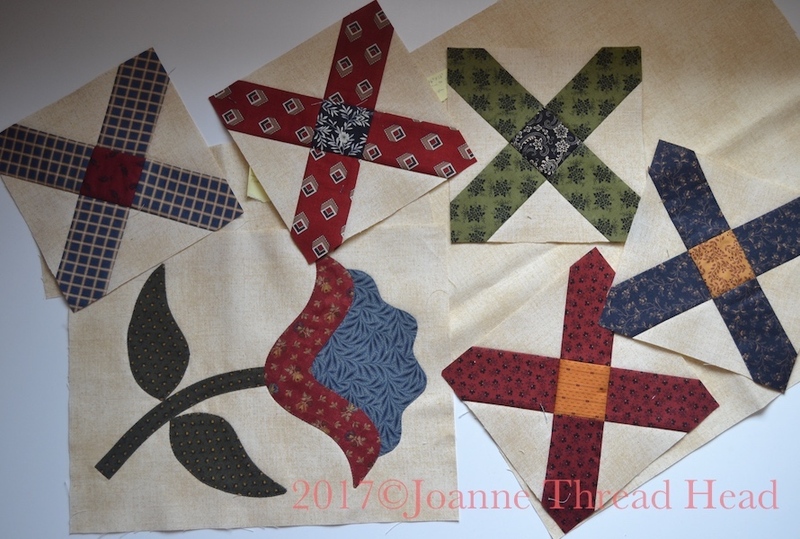 This month's blocks are the 5 Double Tie blocks. They are 6" blocks. Some of my blocks so far are just the correct size of background fabric since I haven't decided what I will appliqué yet (I'll decide when more of the blocks are finished). These blocks are for the Welcome Home Mystery quilt from Kathleen Tracy (A Sentimental Quilter) - she posts the instructions on her Small Quilt Group on Facebook and Yahoo. The latest are twelve 3" Nine Patch blocks. 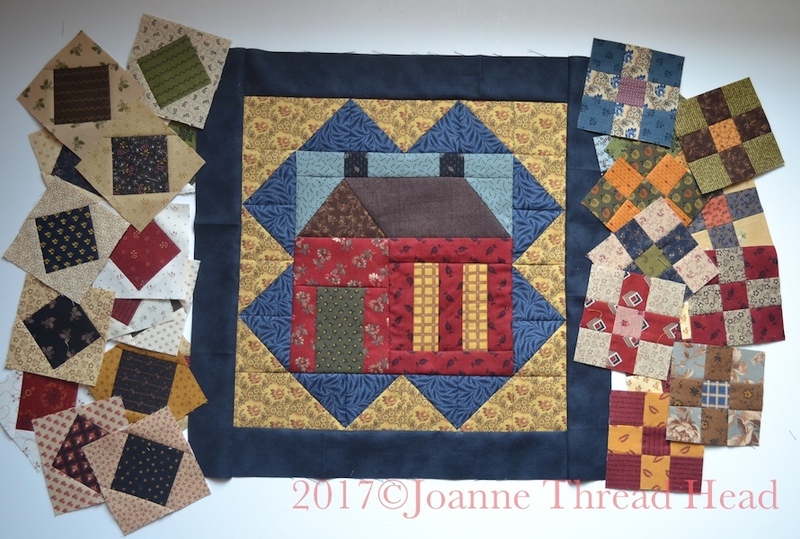 I also added the border to the house block - the block is now about 15". lovely blocks that you have there!! Love the colors!! That will be beautiful!! Sweet blocks, love your colours. GRACIAS POR COMPARATIR TUS TRABAJOS ME ENCANTAN YO NO HE TENIDO MUCHO TIEMPO PERO AHORA QUISIERA APRENDER CON VOSOTROS , OJALA PUEDAS TAMBIEN HACER ALGUN VIDEO , GRACIAS POR COMPARTIR , UN SALUDO,.